With all the benefits a WordPress website brings, one of the challenges is maintaining it. This is especially true if you have limited experience with the platform and have other aspects of your business to take care of. The good news is when you have a basic knowledge of WordPress, you can maintain your website like a professional. Of course, managed WP hosting is generally most attractive to business owners, though. Here are five ways you can easily maintain your WordPress website. Backing up your website frequently is one of the most basic things any business owner can do. You don’t necessarily have to back it up daily, but consider doing so weekly or monthly at the longest. This will ensure you can revert back to that version of your website in the event of an IT emergency. When you use the most secure WordPress hosting service, you can leave your backups in the hands of professionals to do the job for you. WordPress is a secure platform to use for your business, but it also has to be maintained in order to get the most out of it. Sometimes using the most secure WordPress hosting service gives business owners peace of mind since they don’t have to worry about security. These services will monitor your website and take proactive measures to ensure your website is operating as securely as possible. Consumers today expect fast responses any time they go to a website. If yours is lagging for any reason, there’s a good chance you could lose a potential customer. This is why it’s critical to run speed and performance tests periodically to ensure your website is operating at the fastest speed possible. You can also rely on the fastest WordPress hosting service to do these tests for you so you can focus on other aspects of your business. The great thing about WordPress is it’s always improving. A result of the constant improvements is business owners have to be proactive about updating their plugins frequently. It’s important to update the plugins shortly after they become available. Otherwise, you could be risking your website’s security while some features may not operate properly. The last thing to do in order to maintain your WordPress website is constantly manage your content and the comments left on your page. When consumers leave a comment, oftentimes they expect to get a response. Never delete a comment from a legitimate consumer, but always delete any spam comments to avoid unnecessary clutter. And from a content perspective, be sure to provide useful and relevant content to your consumers on a regular basis. If some of the content you provide is time-sensitive, then remove or replace it after the timing makes it no longer relevant. Maintaining your website by keeping content updated is a great way to keep your consumers actively engaged in your website. Hosting Gun offers the most secure WordPress hosting service for businesses. It can be difficult and time consuming for a business owner to maintain their website, so that’s when we step in to help. 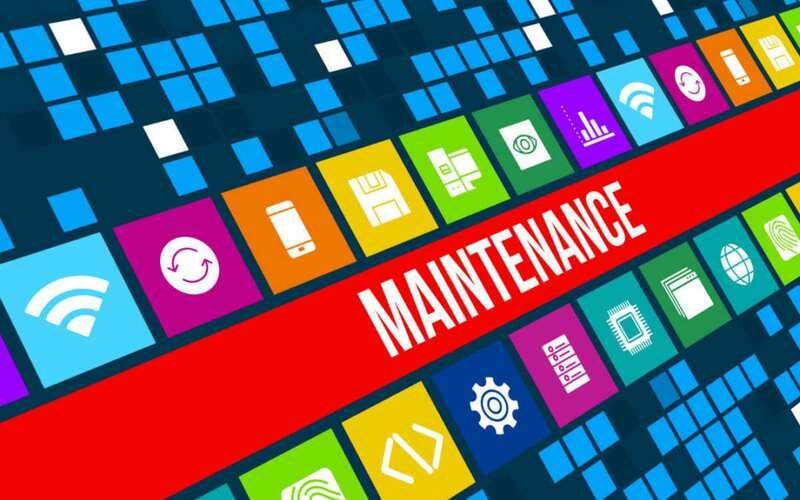 Website maintenance can’t be overlooked or ignored. Being proactive and using the resources available to you will make your website operate smoothly at all times. Be sure to contact us to learn more about how we can help you manage your WordPress website effectively.